The World Cement Association (WCA) presented its WCA Climate Change Action Plan in London on 05.12.2018. The aim of the cement plants organized in the WCA is to make a concerted contribution to the objectives of the Paris Agreement in order to keep the global temperature rise well below two degrees. Bernard Mathieu, Director of the WCA Climate Programme, explained to us what measures should be taken to achieve this. How many cement companies with what total cement capacity are organized in the WCA? 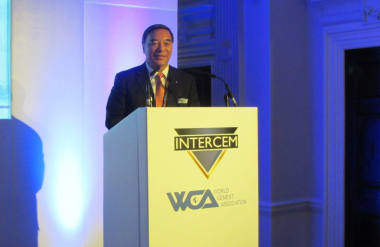 The World Cement Association (WCA) was founded in London in 2016 with the aim of representing the cement industry and its stakeholders on a global basis with a single voice. Today, the association is the largest independent multinational cement network and with its 72 members the WCA represents a total cement capacity of nearly 1.3 billion t.
This corresponds to what proportion of global cement production? Which major players are involved and what is WCA’s geographical coverage? The WCA has a footprint in 38 countries and on all continents. An important characteristic of the WCA is that the structure of the association does not allow a few companies or countries to dominate any discussions or decisions, all members have equal rights regardless of size and origin. Last year, Zhiping Song, Chairman of China National Building Materials (CNBM), the world’s largest cement company, has been appointed the President of the World Cement Association. This was the first time a representative from a Chinese organisation has taken the helm of an international cement association. The Climate Change Action Plan focuses on five key areas. Would you please name them? The WCA plans to improve transparency in reporting on greenhouse gas emissions. How do you intend to achieve this? Monitoring and reporting of CO2 emissions in the cement sector still has to be further harmonised and expanded. The global “Getting the Numbers Right” (GNR) database – initiated by the Cement Sustainability Initiative (World Business Council for Sustainable Development) – has grown over the years to cover a total production of 807 million t of cement in 2016. This represents only 19 % of global cement production today. Efforts have to be scaled up significantly to achieve transparency in our sector. 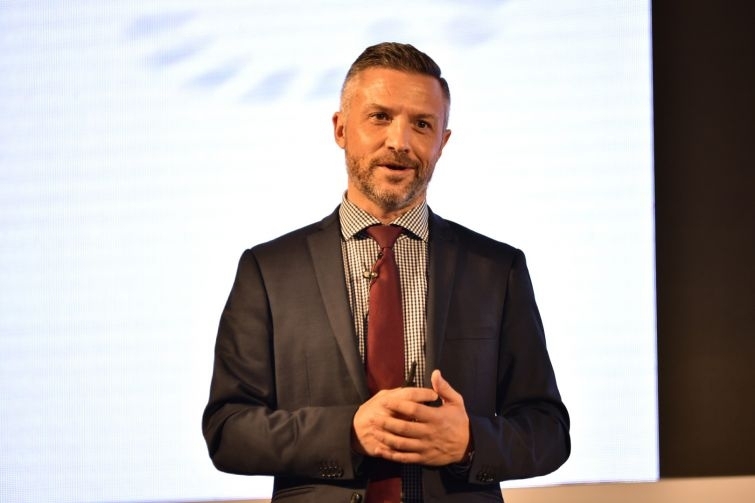 The WCA will therefore develop a user-friendly, tailored monitoring and reporting protocol and deliver the required training to its members within the next two years. This endeavour aims at enabling WCA Members to establish the carbon footprint of their products and provide them with a procedure which, subject to local regulations, can enable them to report agreed datasets to the “Getting the Numbers Right” global cement database of CO2 and energy information. The average material consumption is to be reduced and the quality and durability of buildings are to be improved. The building standard in the individual countries is sometimes very different. Where will you start? It is indeed a matter of fact that building practices are hugely different from one country to another. However, many common technical rules apply for the formulation, production, transport, pouring and finishing of concrete in order to ensure high standards of quality, strength, durability and resilience. WCA Members will sustain and whenever possible enhance their efforts in the information, education and training of concrete producers and users, as well as in supporting the professionalisation of the construction sector working collaboratively with the other players along the value chain (no­tably the development of precast concrete and ready-mixed concrete business activities). Many of our members have a long tradition in doing so. We realise that more has to be done in order to achieve decarbonisation: concrete buildings must be designed and constructed in a way which ensures maximal material efficiency and (very) long life-cycles. The WCA will explore opportunities of joint initiatives and actions at international level, complementing the efforts of the national associations and companies. This could materialise in a greater involvement in international platforms which aim at enhancing the sustainability of construction. WCA Members also underline the imperative need to quickly adapt standards and building codes to trigger the use of low-carbon solutions on a life-cycle basis. The ultimate objective must be to minimise the CO2 emissions over the life-cycle of buildings and infrastructure, encompassing embodied CO2 in construction functional units and CO2 emissions from heating and cooling during the use phase. The construction sector is usually very slow in adapting its regulations and standards. The WCA will develop recommendations related to climate-friendly standards and building codes in order to support its members in their advocacy efforts at national and regional levels. The proportion of alternative raw materials and fuels in the cement industry is not uniform worldwide either. The WCA wants to speed up the introduction of co-processing practices for waste. What are your plans? Massive waste co-processing capacities in cement kilns are still not being used, even though this could deliver a huge contribution to solving waste management issues around the world and reducing CO2 emissions. In particular, we see huge opportunities in the unlocking of the potential offered by waste co-processing in cement kilns to offer solutions to the crucial issue of plastic waste across the planet. Our sector faces many bottlenecks in achieving high thermal substitution rates in all regions. The most crucial one is probably the development and actual enforcement of waste strategies and regulations in all countries which trigger the collection, sorting and sustainable treatment of municipal and industrial waste. The WCA will establish an internal knowledge exchange platform at global level. It will also help create required framework conditions for an accelerated deployment of waste co-processing through joint advocacy efforts, knowledge exchange, recommendations on enabling regulatory frameworks and specific Public-Private Partnerships. Globally, the 2°C targets cannot be achieved with the technologies currently in use. What new technologies does the cement industry need to invest in? Validated technologies and established improvement levers are indeed currently insufficient to deliver on a 2°C scenario. The remaining technological gap is huge. 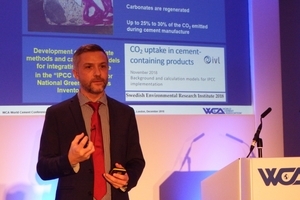 According to the recent Technological Roadmap released by the International Energy Agency and the Cement Sustainability Initiative, the technologies currently available and being deployed by the global cement industry can actually only deliver 50 % of the CO2 emission savings required to achieve a 2°C-scenario. The gap must be filled through a better material efficiency in construction, through carbon capture and storage (or carbon capture and use), or through other innovative process technologies and product innovation. The WCA recognises the need to enhance innovation and knowledge exchange efforts. It will bring its contribution through regular knowledge dissemination activities culminating in the organisation of a yearly Global Climate Change Forum bringing together renowned experts in related technologies. It will also reach out to equipment suppliers to work collaboratively on technological challenges. Plant manufacturers must make a significant contribution. Does the cooperation between the cement and supplier industries need to be intensified and how do you intend to achieve this? Active engagement with plant manufacturers is indeed essential to make sure that we all share the same sense of urgency for more innovation in low carbon technologies. Practically, plant manufacturers will be invited to join the WCA Global Climate Change Forum and to share with us their insights and the ongoing developments addressing the decarbonisation of the sector. The WCA will encourage collaborative research and innovation projects between plant manufacturing and cement companies. It is worth underlining that major equipment manufacturers and engineering firms are also members of the WCA. Investing in innovative solutions costs money. How do you want to motivate your members to promote climate protection? We believe that the global cement industry is at a crossroads. Either our sector will succeed in the definition and faster implementation of greenhouse gas mitigation roadmaps enabling a smooth transition towards a low carbon construction sector, or we could soon face more aggressive moves from investors, regulators and other stakeholders. We see carbon pricing regulations being enforced in a growing number of countries, we see investors raising questions about the climate risk exposure of companies and an increasing pressure from civil society at large. Moreover, the low carbon transition also creates new business opportunities and new revenue streams for the building materials sector, which should quickly be seized and deployed at scale. As an association, the WCA wants to showcase the most promising business innovations. 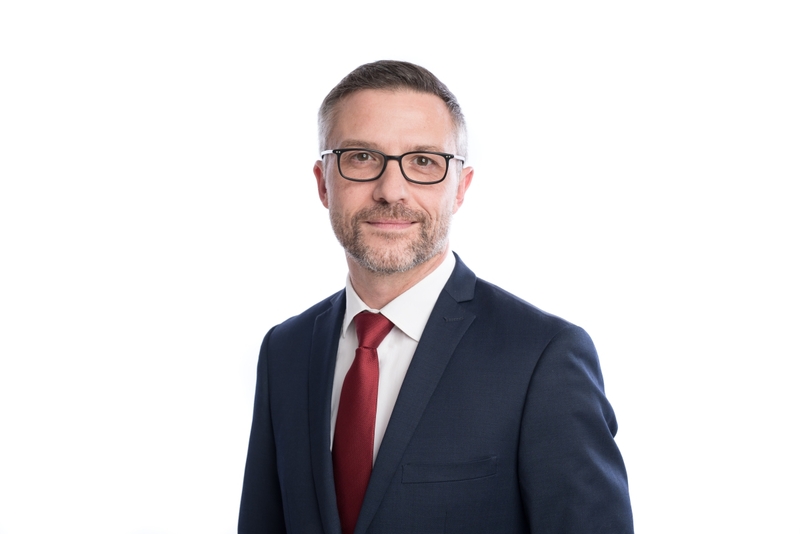 The WCA has a particularly strong presence in emerging markets, where the vast majority of new buildings are being constructed, and so can take early action where this is likely to make the biggest difference. 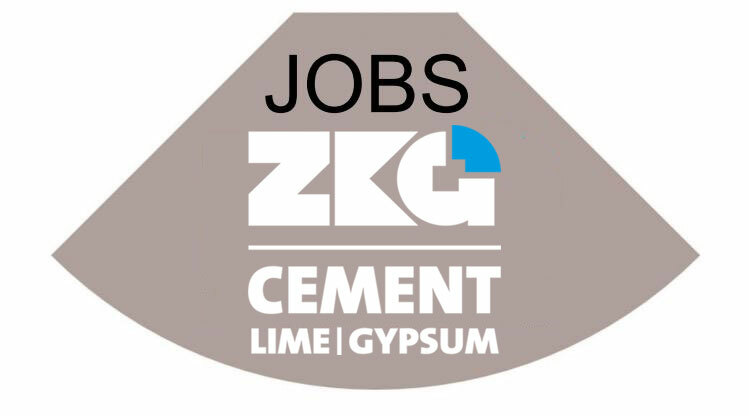 We acknowledge that the way forward will be challenging, and the path is not yet well defined, but the global cement and concrete sector has demonstrated in the past its ability to deliver rapid and effective solutions to urgent problems, including speedy post-conflict reconstruction, flood management solutions, public transportation or waste treatment. The time has now come for the cement industry to show it has the skills and determination to play an instrumental role in delivering the technological, cultural and operational solutions to climate change. The exchange of knowledge between WCA members is another cornerstone of the action plan. What measures are you planning? 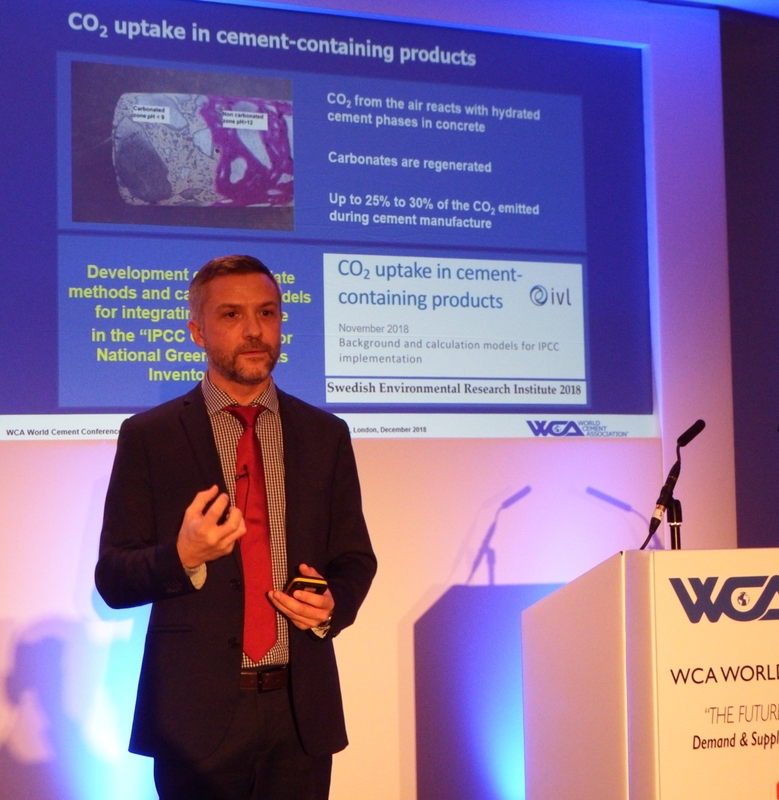 The WCA will regularly update its members about the most promising technological developments and R&D projects as well as the relevant regulatory developments related to climate change – and more specifically to CO2 emission mitigation – throughout the world. This will be achieved through various means, from our quarterly “Climate Newsletter” to the yearly WCA Global Climate Change Forum. The WCA will also develop a process for recognition of the most innovative products, solutions and/or business models supporting the transition to a low-carbon built environment and to more resilient communities against the detrimental consequences of climate change. Zhi Ping Song, current WCA President, calls for “action, not words” in the climate debate. China, where around 50 % of the world’s cement is produced, plays a decisive role here. What measures is the Chinese cement industry planning to make its plants more environmentally friendly? China is undertaking many initiatives to tackle the issues in the all-important area of climate change. Several key areas have been identified in order to make cement plants more environmentally friendly, such as the further reduction of energy consumption and emissions. Tighter limits and targets have been set for energy consumption and dust, NOx and SOx. Best practice plants in China are running below these maxima. China plans to expand the generation of energy from solar and wind power and other clean energy sources to further lower emissions and will also accelerate the elimination of backward capacity by shutting down dated production lines with high energy consumption. Another important initiative is the implementation of CO₂ capture, collection and utilisation and green and low-dust mining. China is also working on measures to increase the utilisation rate of alternative raw materials, fuels, waste and municipal waste up to 40 %. The stoppage of regional production lines during the winter peak heating period is another step forward in tackling climate issues. In November, the WCA opened an office in Beijing, where the WCA Technology Centre, the WCA Research Institute and the WCA Climate Change Liaison will be located. What are their goals? As the producer of more than 50 % of the world’s cement, China plays an important role in the global cement industry, and the WCA is very pleased that CNBM is helping to open an office in China. The goals of the WCA Beijing office are the same as those of the association as a whole. The office will allow the association to deepen its ties with Chinese cement producers and other stakeholders and to build links and share best practice with surrounding markets. In addition, the WCA President’s office will co-ordinate the President’s activities and representation. We are currently evaluating specific targets relating to the implementation of the WCA Climate Change Action Plan and are working to identify primary technology needs and key research areas for the WCA.